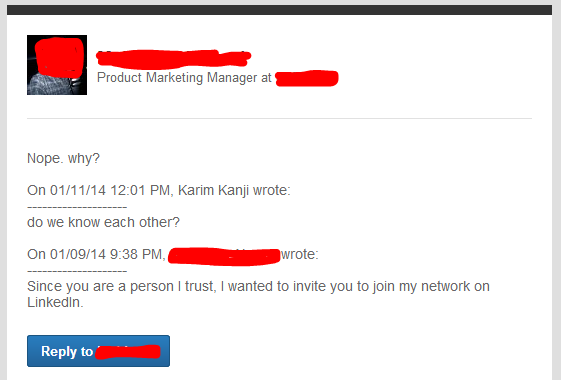 LinkedIn is a very valuable tool for professionals and companies alike. For example, many people have used the recommendations feature to help them increase their employment and career goals and aspirations. Many companies have used LinkedIn’s vast source of data to search for new talent. When people have a problem with LinkedIn, most of the time (although the platform is far from perfect), it’s because of the way individual people use it. I am a person he trusts yet he doesn’t know me. So why the heck should I connect!? Should I connect?